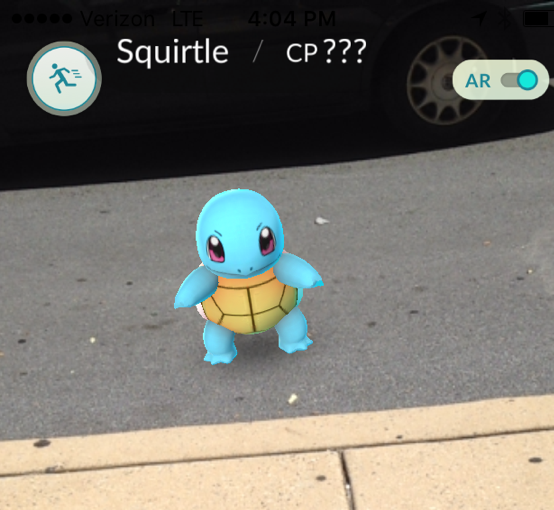 Pokémon Squirtle caught yesterday at PCA&D! Pokémon monster Squirtle was caught yesterday at Pennsylvania College of Art & Design, as he came for the first day of the Summer Continuing Education classes. 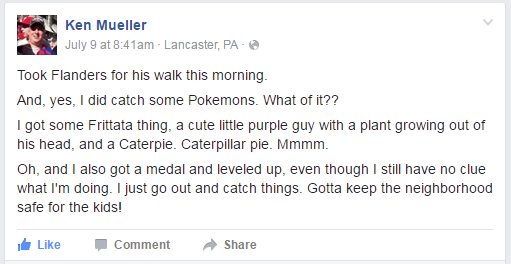 Pokémon Go has quickly become a cultural phenomenon. 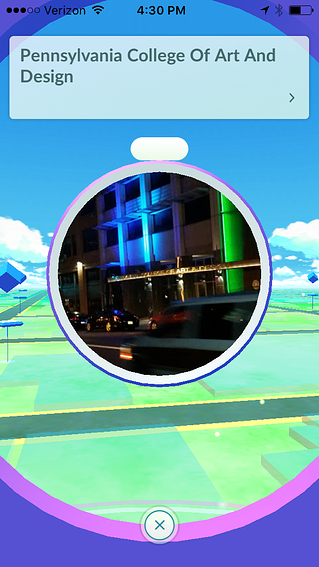 The game encourages users to get on their smart phone and step outside to find and catch Pokémon, while at the same time exploring their community collecting useful tools at PokéStops. It mixes the popular animation series with an augmented reality form of geocaching, players walk around in the real world, trying to catch Pokémon that show up on their smartphones. The game has become the hottest activity this summer and the app has led both iPhone and Android app charts, as millions of people go on the Pokémon quest. In yesterday’s Social Media Marketing & Communications, part of the Social Media Marketing & Communication certificate program, Mueller spent some time talking about Pokémon. He offers tips for businesses wanting to join the Pokémon fun this summer. PCA&D is proud to announce that the art college is a PokéStop! Welcome players! Stop by PCA&D and while you are here, explore the PCA&D gallery, where the art of Selected Artworks from the BFA Program at PCA&D is on exhibit. This exhibition features a selection of outstanding artwork created by our rising junior and senior BFA students. A wide variety of media are represented including digital and hand-painted illustration, sculpture, painting, printmaking, photography and graphic design. Also, if you are interested in creating your own monsters, pick up a course catalog while you are at PCA&D and resister for a drawing class. Read about illustrator Ken Sugimori, the original character designer and concept artist for the Pokémon franchise. Sugimori drew all of the original 151 Pokémon himself and directed a team of 17 artists in the creation of the anime series. Creating Pokémon Go and similar games requires special takents and training! Read about PCA&D's Illustration and Digital Media BFA majors.